What's in a name? 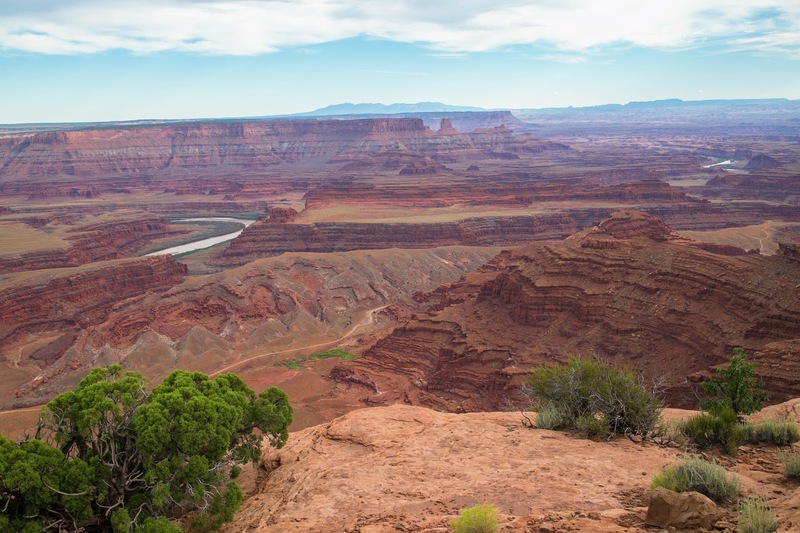 The legend of Dead Horse Point goes something like this..."Around the turn of the century the point was used as a corral for wild mustangs roaming the mesa top. Cowboys herded them across the narrow neck of land and onto the point. The neck was then fenced off with branches and brush. 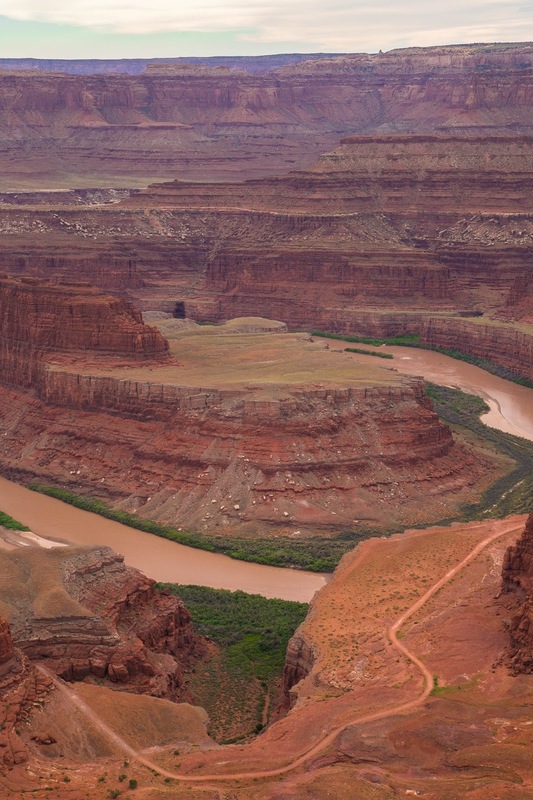 One time, for some unknown reason, horses were left corralled on the waterless point where they died of thirst within view of the Colorado River 2,000 feet below." Kind of awful, but oh, what a view! 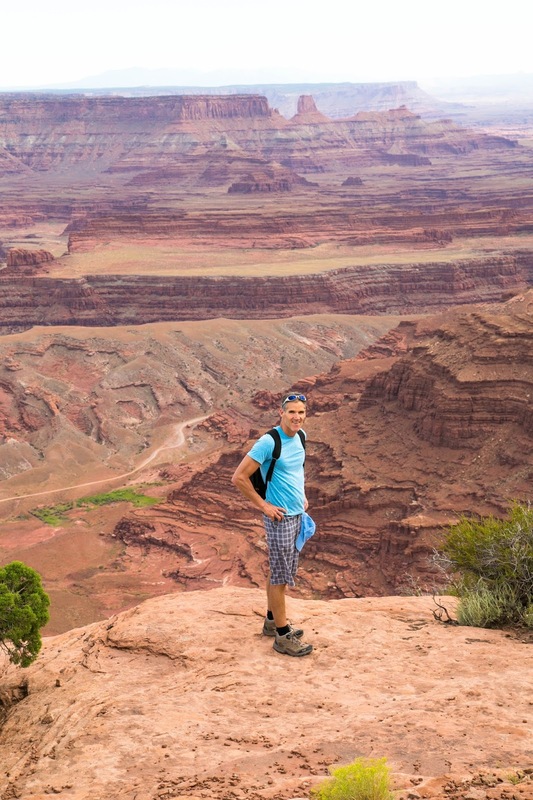 32 miles from Moab, Dead Horse Point makes a perfect half day side trip to your Arches National Park adventure. 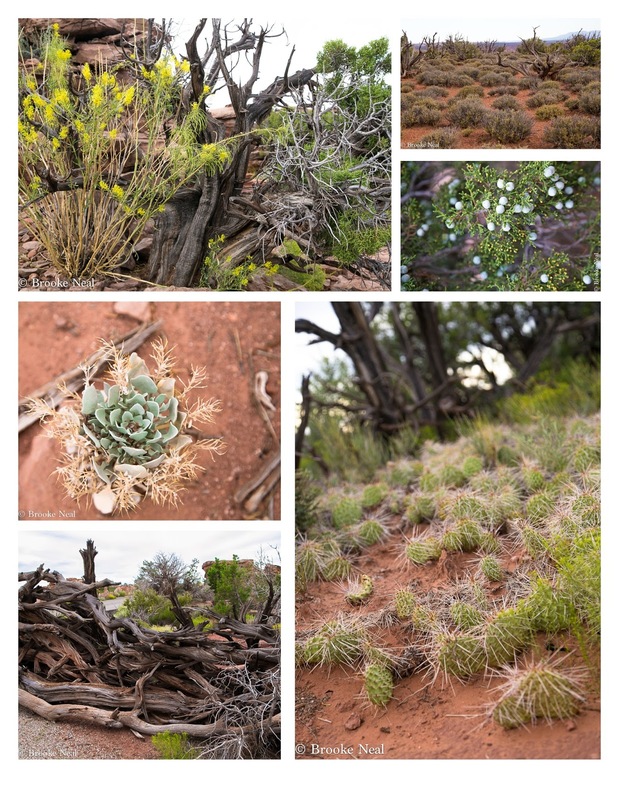 Claimed to be the most photographed vista in Utah, the red cliffs are spectacularly barren punctuated by sparse desert holly, box elder and desert cactus. 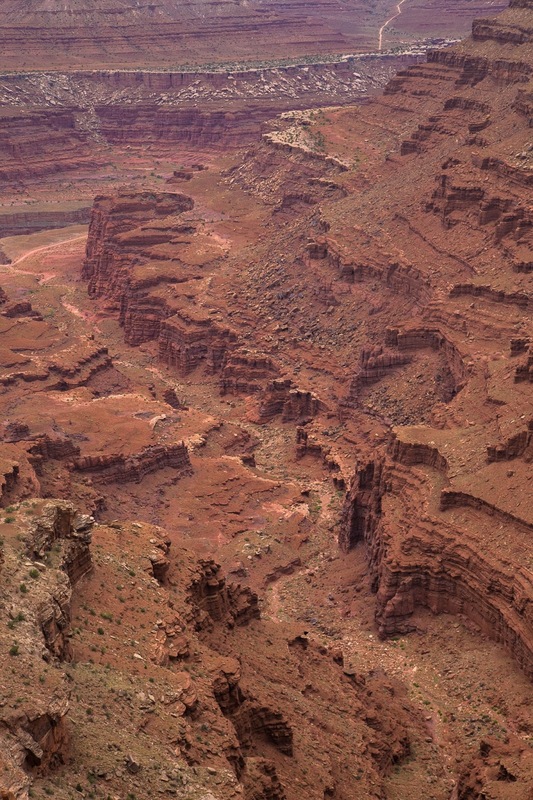 Rising 2000 feet above the Colorado River, the scene is a fantastic study in geology and truly an awe inspiring sight. Bob and I hiked the 5 mile trail around the East and West rims, but really you can get away with only hiking the East rim and be satisfied. The trail is completely flat and family friendly. Click here for detailed park information and enjoy the photos. Wow. These pictures are stunning. I'm from Australia and we have nothing to equal these places but some different types of natural wonders. Marvelous images - such breathtaking scenery! I like especially the photographs from the plants of this area! 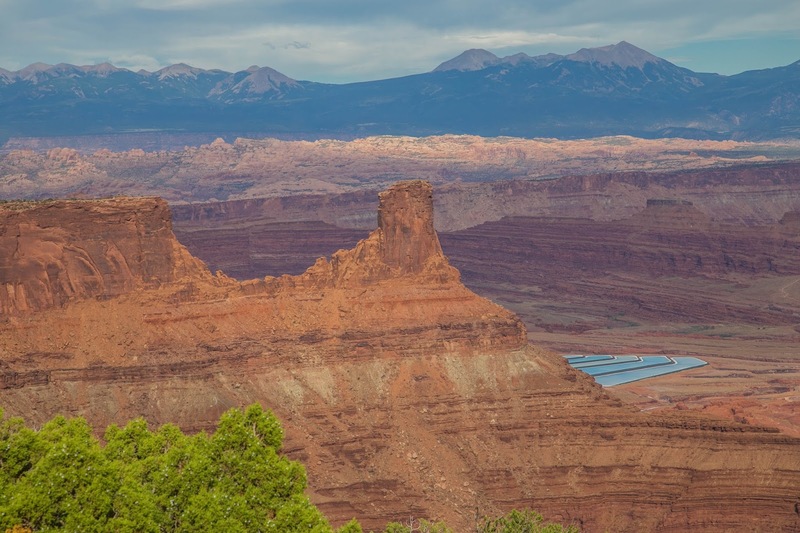 I love Utah and all its crazy contrasts, and your photos capture the mood that I love so much. In your first photo, what are the blue geometric shapes peeking from behind the point? One day. One day. One day. I will go there! I have wanted to visit this place for a long time. Hope I can go soon! What stunning photos! I absolutely love the western landscape and that particular area of the country always calls to me. It's been a bit too long since I was last out there...I think we're planning to travel west this coming summer. I haven't been in that area since some childhood trips with my parents - definitely want to go back there again. Great photos! This is phenomenal, just the sheer size of the place. I would love to see this. Adding it to my bucket list now - great photos Brooke. The western United States is so beautiful. You can drive and drive for hours, but then look what you are rewarded with! Love it!